Modern Portfolio Theory (MPT) recognizes that investment returns also carry risks. When assembling a portfolio of risky assets, it is necessary to account for these two components as well as the correlation among the assets. 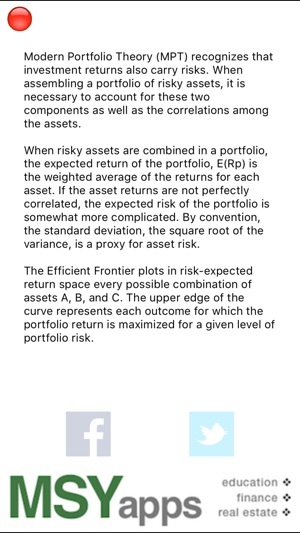 The Efficient Frontier plots in risk-expected return space every possible combination of assets A, B, and C. The upper edge of the curve represents each outcome for which the portfolio return is maximized for a given level of portfolio risk. 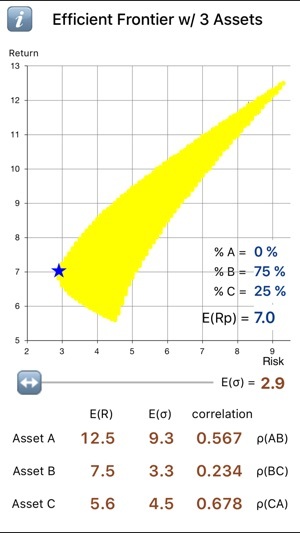 The ‘blue star’ shows the return along the efficient frontier at the risk level selected by the slider. Additionally, the shares of assets A, B, and C for the portfolio that produced this point are displayed to the right of the graph. 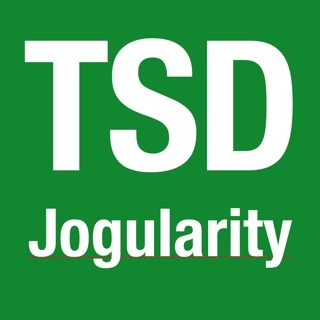 - Updated for newer versions of iOS and iPhones.